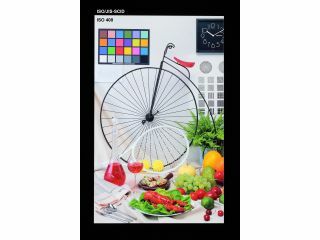 Technology manufacturer Toshiba has announced a new 6.1-inch display with the insane resolution of 2,560 by 1,600 pixels. That's a higher resolution than full HD, which comes in at a mere 1,920 by 1,080 pixels. The LCD panel is based on Toshiba's own processing techniques for forming high-pitch and high-performance, low temperature poly-silicon (LTPS) thin-film transistors on glass substrates. Which basically means Toshiba has found a way of making really, really tiny pixels. In addition, the screen includes a 176-degree field of view with 16.7 million colours. Toshiba hasn't explained what it's going to do with the panel yet, but it has mentioned smartphones and tablets with the potential for 3D imaging. It also hasn't mentioned if the technology will find its way into larger flat-panel screens. Toshiba's new level of photo-quality realism in smartphones and tablets could make them even more gorgeous, and there's the potential for more information to be displayed on-screen at once. High-resolution displays also render the need for anti-aliasing obsolete, as edges look defined and silky-smooth. However, outputting to the panel will require a powerful graphics chip and substantial battery power - neither of which Toshiba has commented on. The display will be, er, displayed at the upcoming FPD International exhibition.